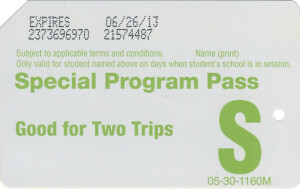 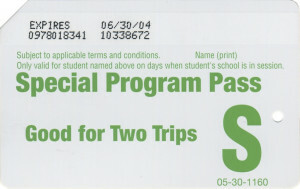 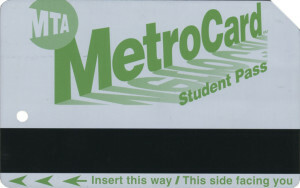 MTA runs a program for NYC school students, student who lives further than certain distance from school receives metrocard to ride subway and/or bus. 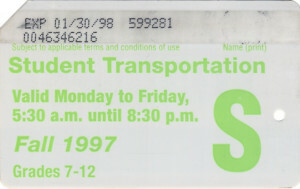 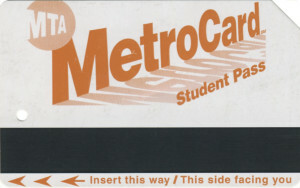 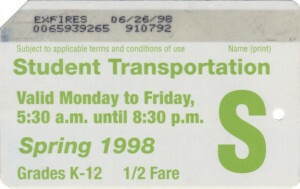 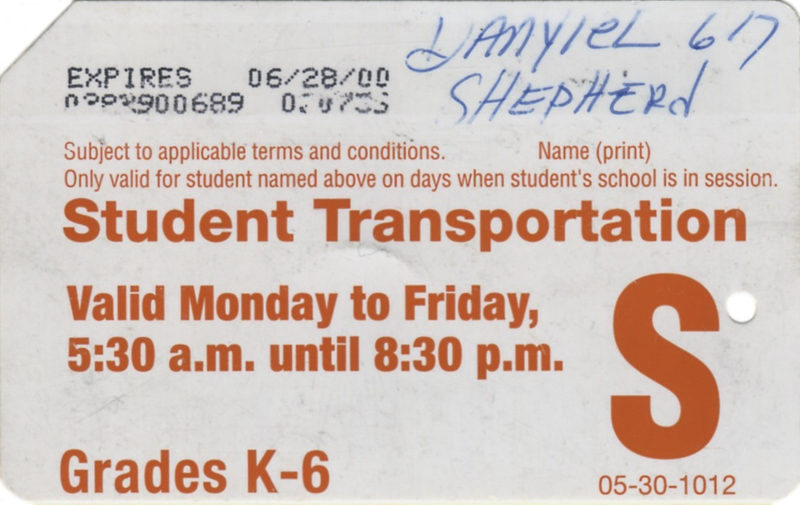 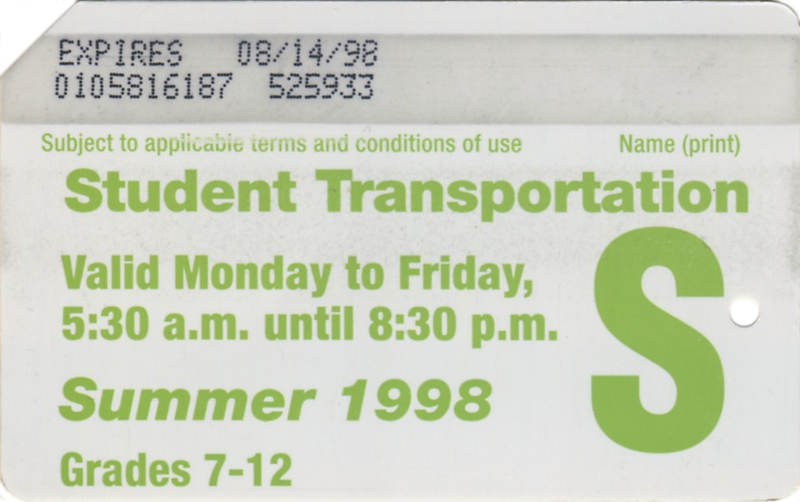 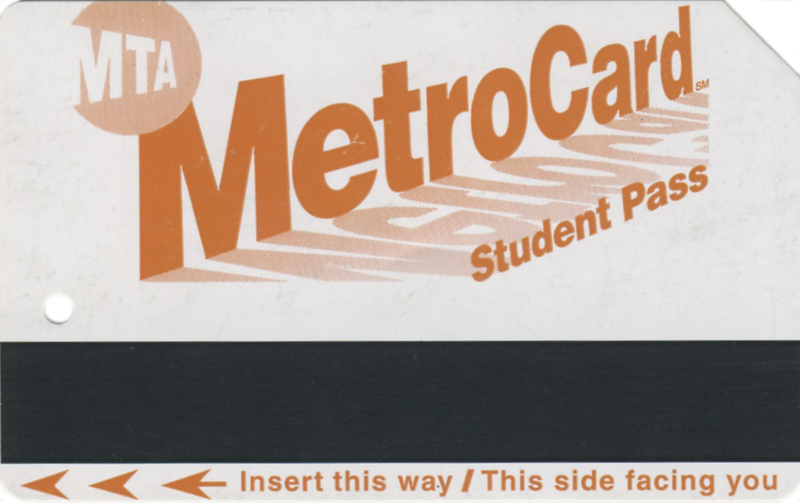 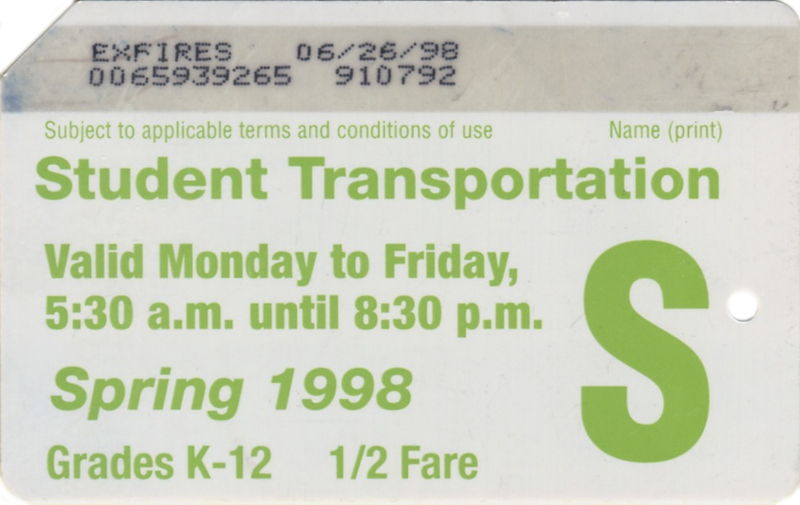 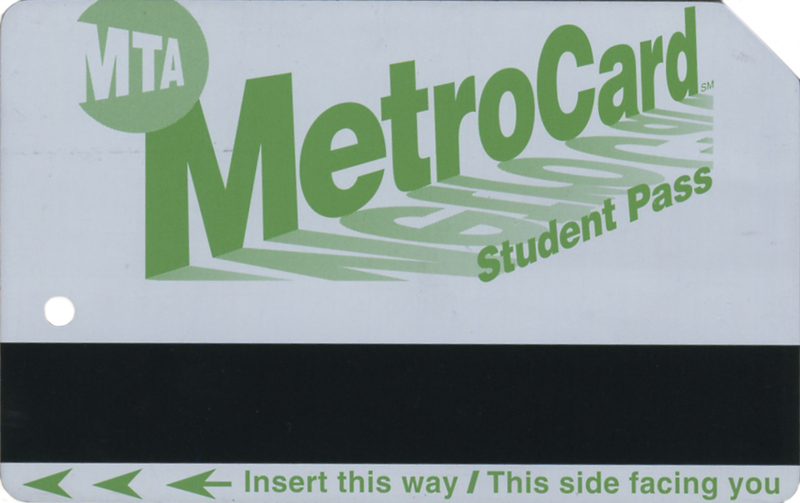 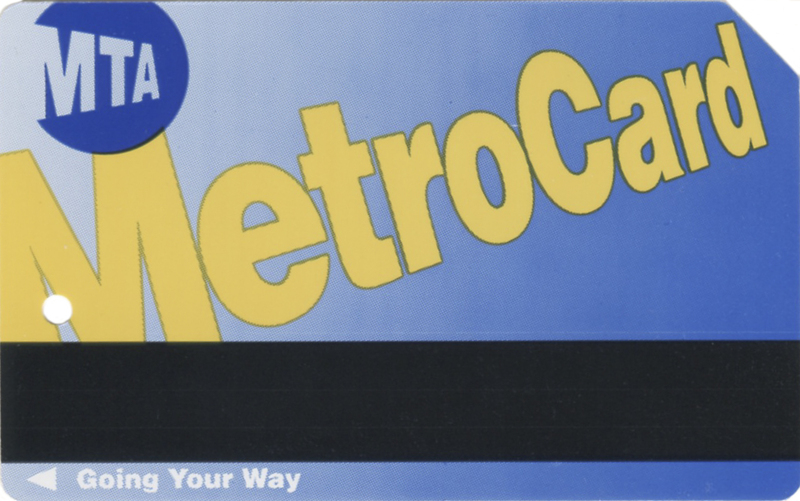 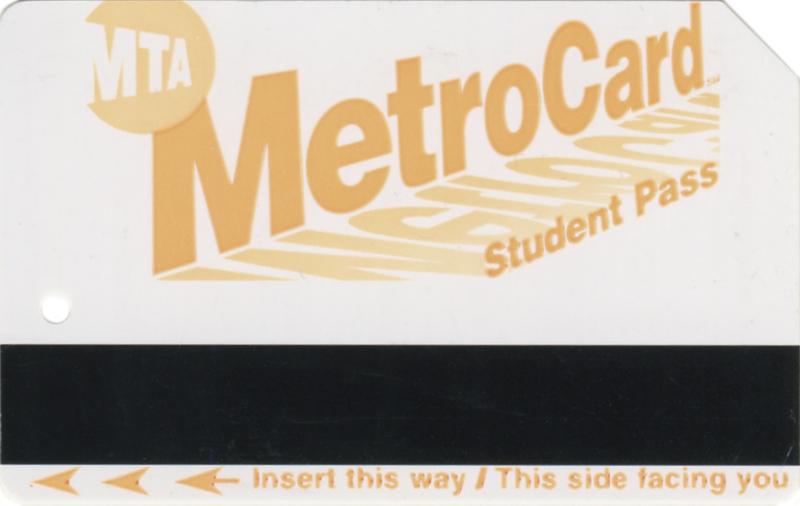 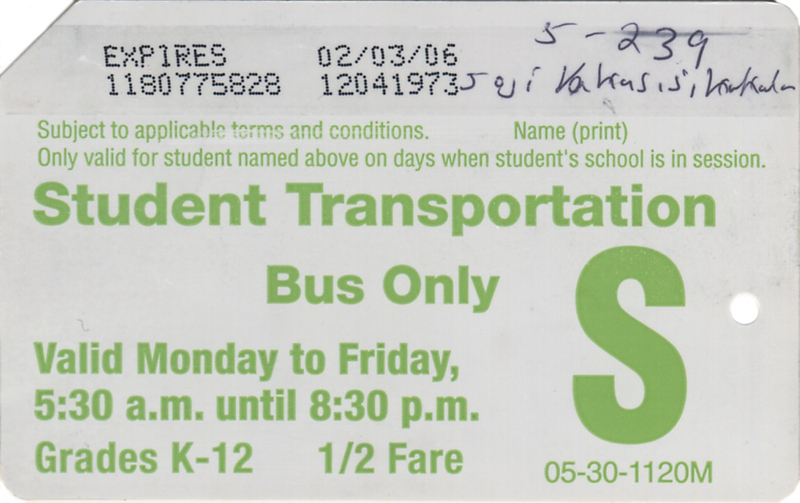 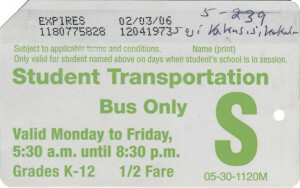 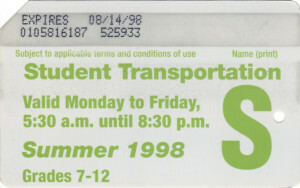 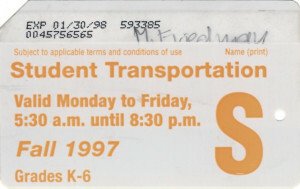 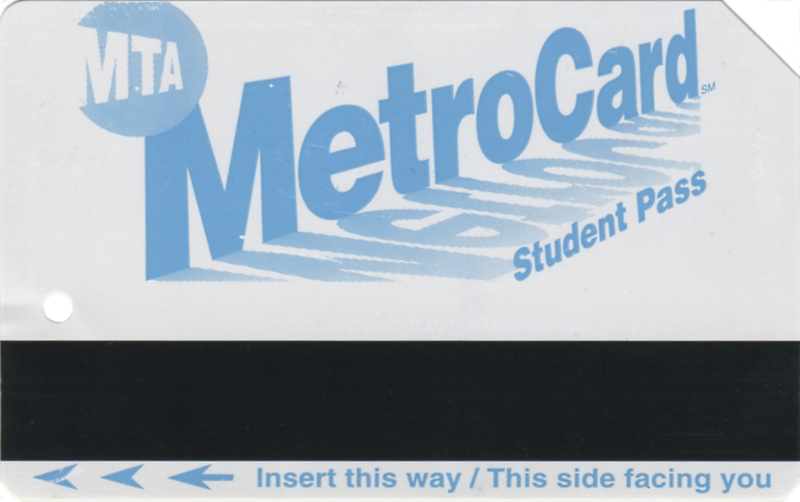 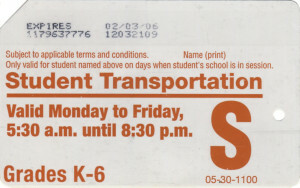 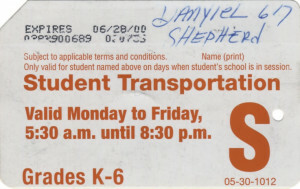 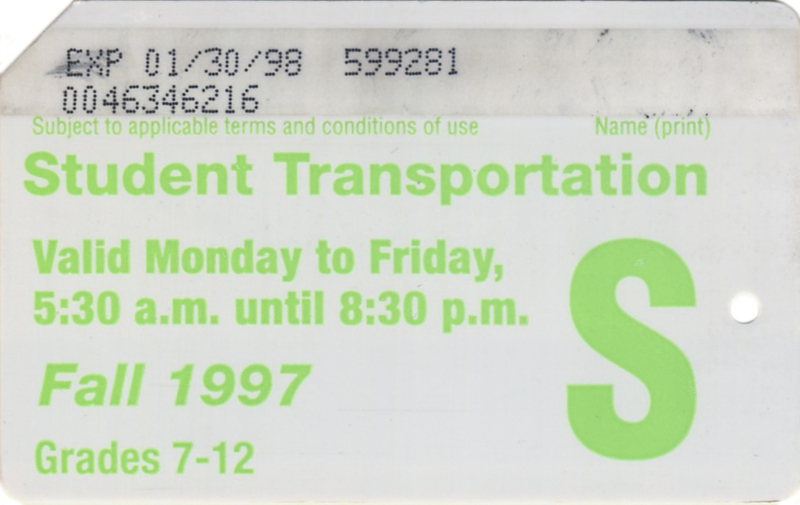 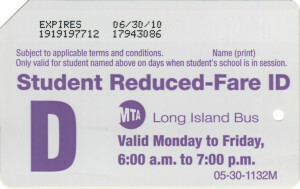 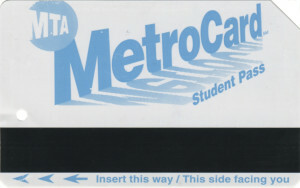 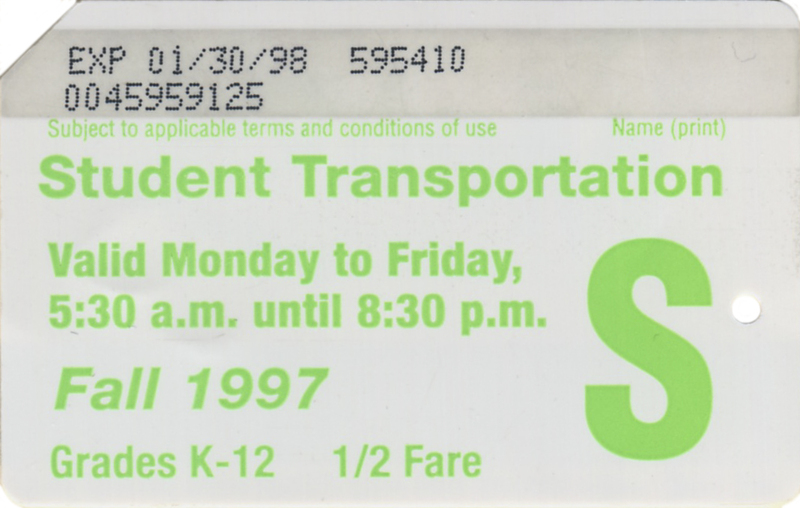 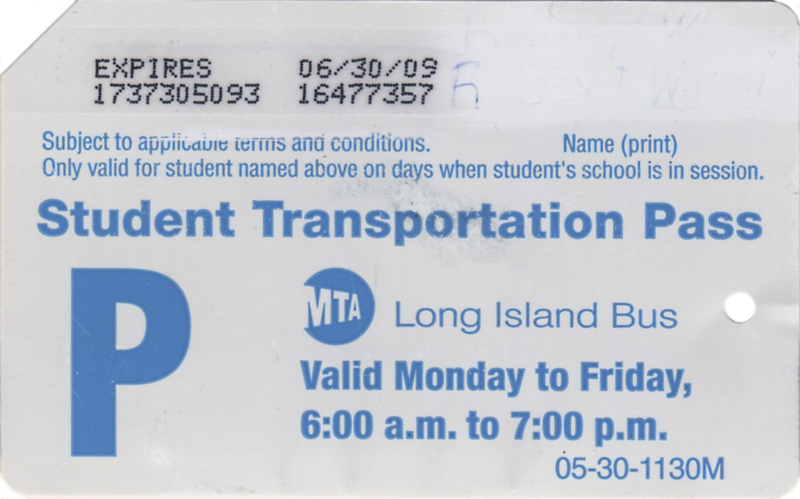 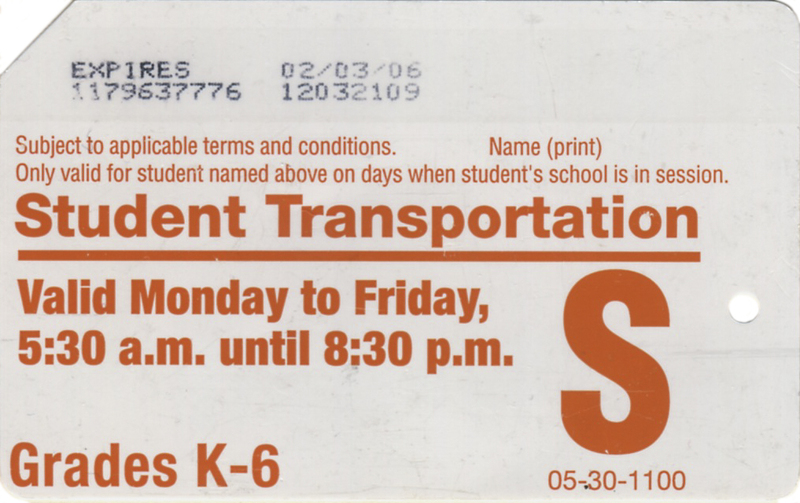 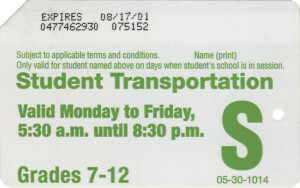 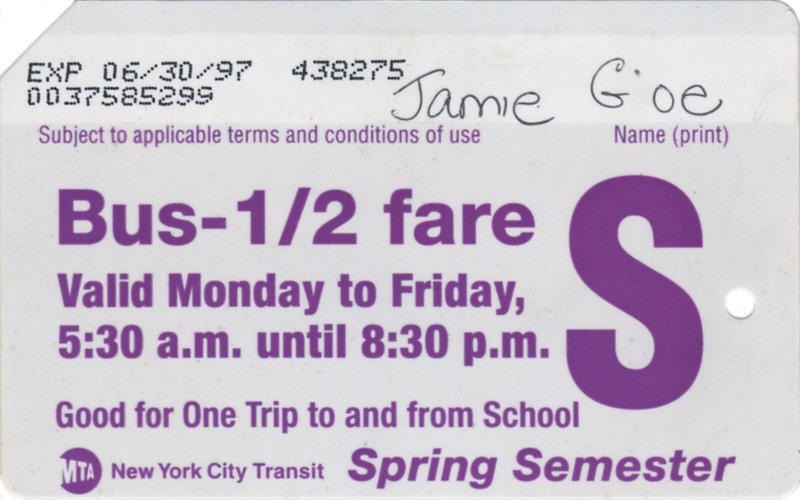 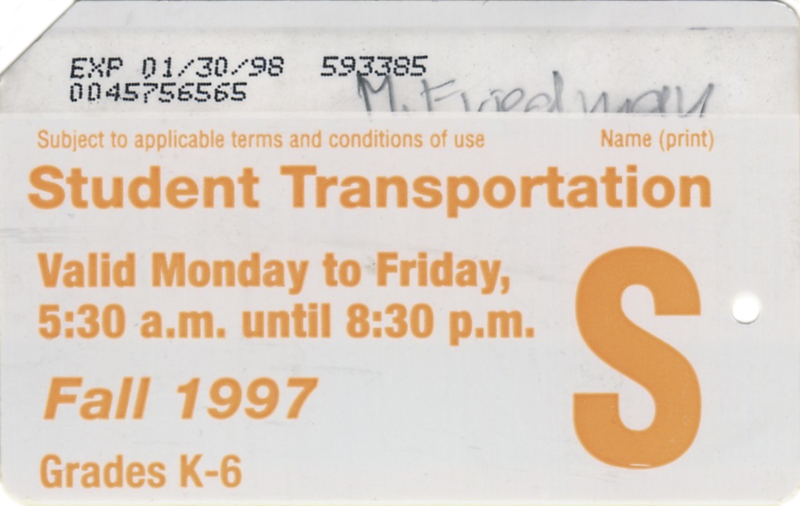 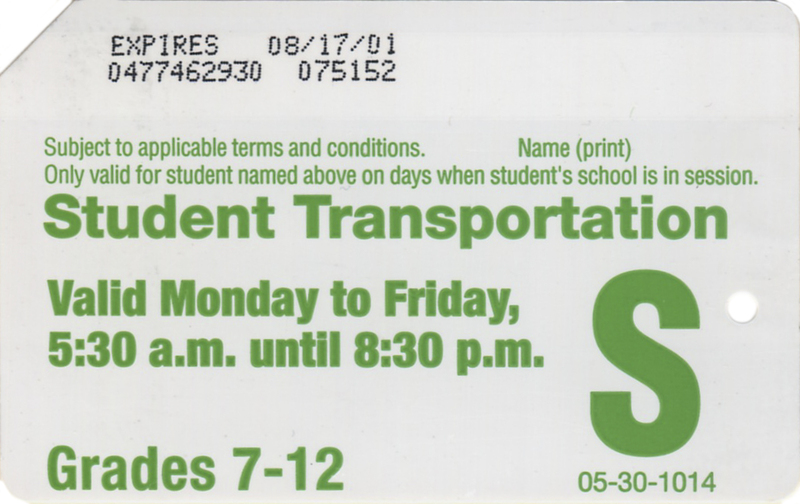 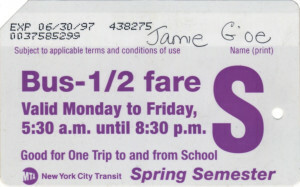 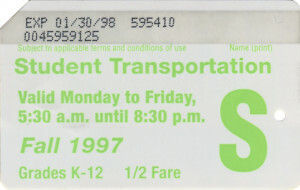 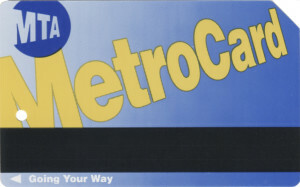 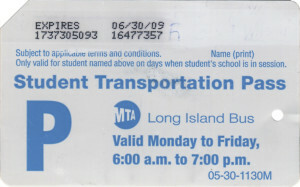 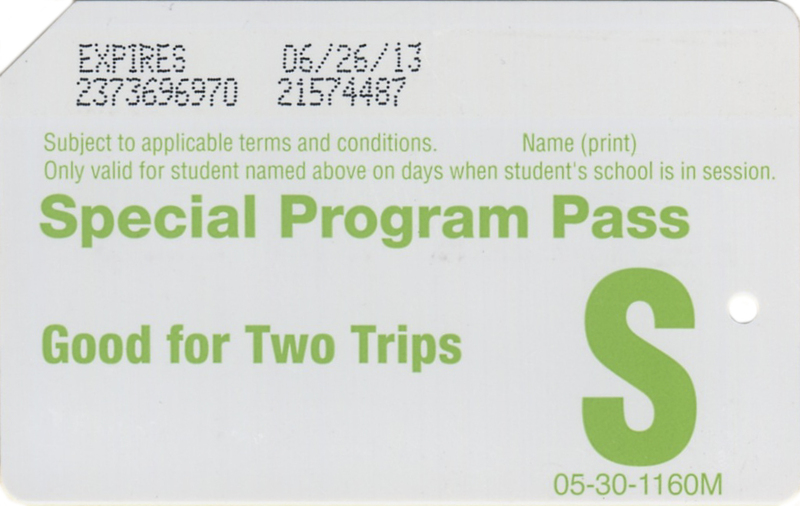 There are many different students metrocards current and in the past. 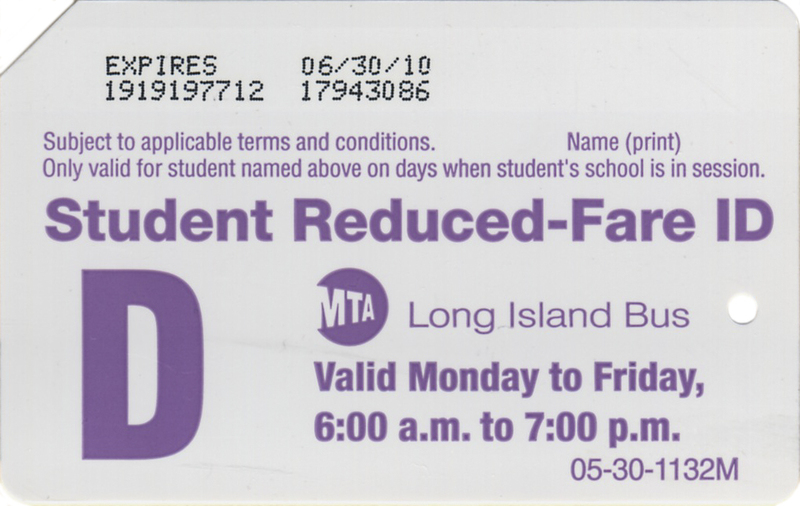 Some allowed students to rides both subway and bus 3 times a day free, some reduced fare to 50%, some allowed to ride only buses free or 50% reduced fare, some metrocards are valid during the weekdays some on weekends too. 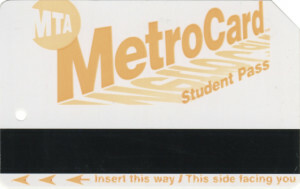 Here are some images of those metrocards.